Small-scale fisheries sector gets a boost - SABC News - Breaking news, special reports, world, business, sport coverage of all South African current events. Africa's news leader. Minister Zokwana says the roll out will the change the lives of many fishing families. More than 2 000 fishermen and women who were on Tuesday handed fishing permits in Mandeni, northern KwaZulu-Natal, will now be able to fish freely and earn a living legally. 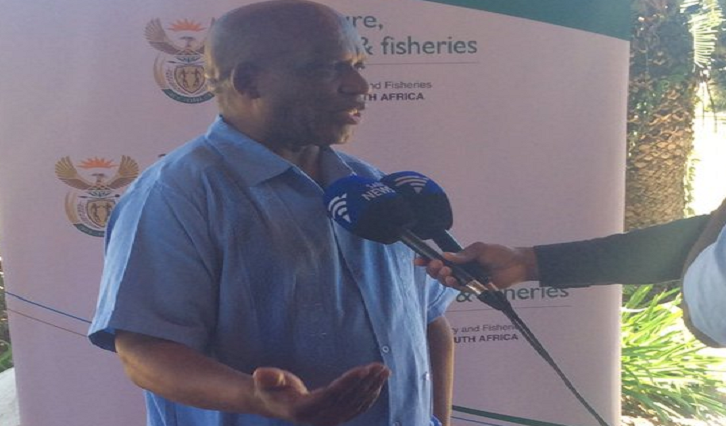 Minister of Agriculture, Forestry and Fisheries, Senzeni Zokwana, has handed over certificates to the fisherfolk from KZN communities who will now be allocated fishing rights for 15 years. Zokwana says the decision was taken to redress apartheid exclusion of the black population and to contribute to the rural and coastal economy in the province. This forms part of the national roll-out of the Small-Scale Fisheries sector in South Africa’s Coastal provinces in previously disadvantaged fishing communities. Minister Zokwana says the roll-out will the change the lives of many fishing families. “A judgement was passed in 2007 in favour of communities along the coastal area, so that they can have access and rights that they can utilise to change their livelihoods. We have worked very hard so that we can approve 29 co-ops in this province of KZN. They will be able then to access that fish; able to process and market it. We believe with infrastructure they can change their lives,” says Zokwana. Zokwana adds that his department will train the recipients on sustainable fishing practices over the next two weeks. Meanwhile, small-scale fisherwomen who catch and sell fish to the locals, say the permit will now help them earn a decent living for their families. “We use fishing to make a living. We fish and sell and also feed our families. It’s better to get more stock so that I can sell. If we do not go fishing, our families suffer because this is how we maintain our families. We do not have other jobs. When we go fishing, some people get arrested; we are beaten up. That is why we are trying to get permission to fish legally ,” says one beneficiary. This entry was posted on 19 Mar 2019,06:02PM at 6:02 PM and is filed under Sci-tech. You can follow any responses to this entry through the RSS 2.0 feed. Both comments and pings are currently closed.